Today is Lulu’s 2nd birthday! 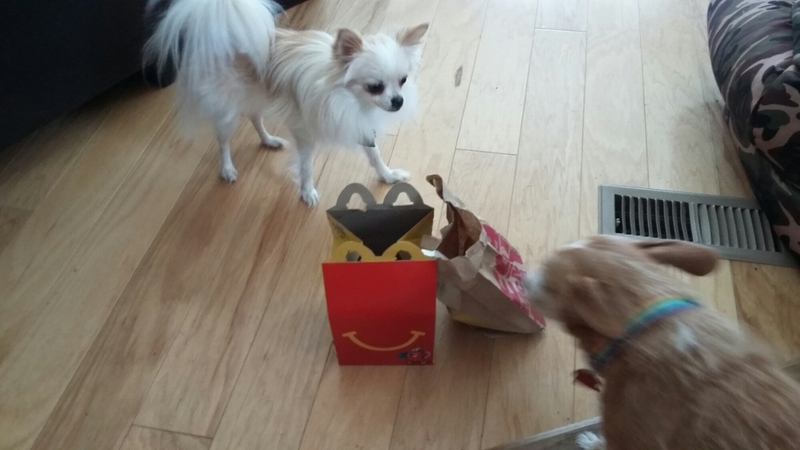 We went to McDonald’s, as is my tradition with the dogs on their birthdays. She was so excited it was very cute. She and Nola split a happy meal and gobbled it right down. Happy Birthday Lulu! Lucky dogs!